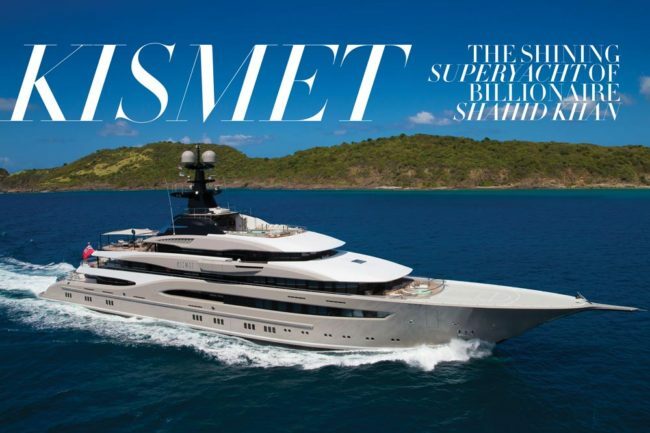 a $330 million mega Superyacht and her owner Yuri Scheffler. 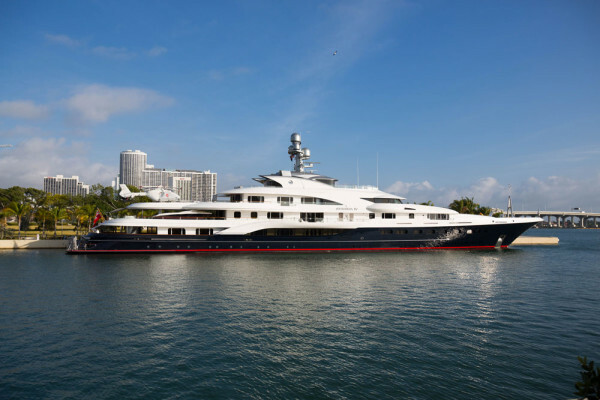 Bill Gates paid 5 million dollars to spend a full week with family and friends in this magnificent Yacht. 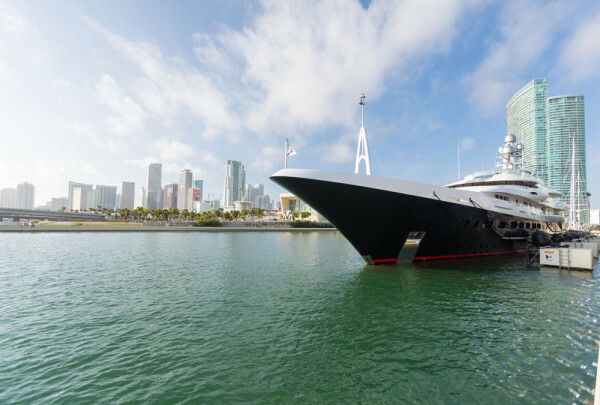 The Serene, a $330 million, 440-foot private yacht belonging to a wealthy Russian vodka distributor, recently visited Miami during the Christmas week. 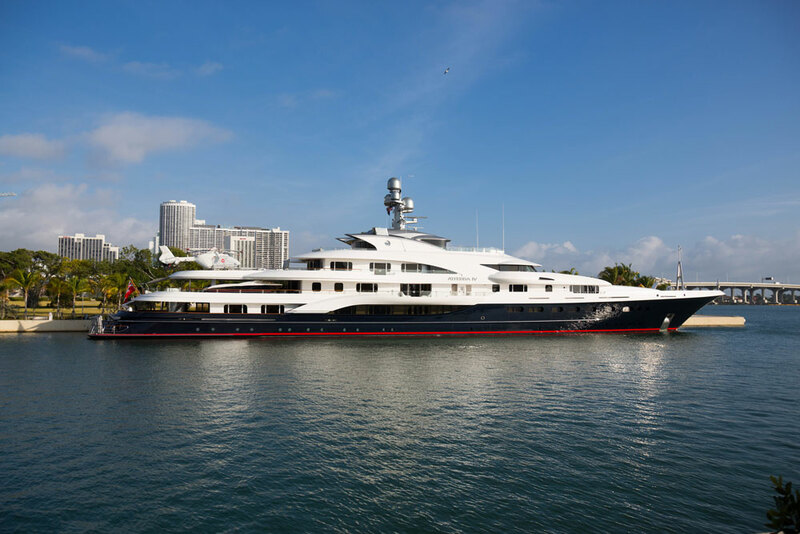 The yacht’s owner, Yuri Scheffler, controls SPI Group, which distributes Stolichnaya vodka internationally. Serene is the largest private superyachts, built by Italian shipyard Fincantieri, and delivered to the magnate on August 2011. It has drawn the attention from many people out of the waters to snap a photo. The “grandeur” of Serene, is justified by its magnate owner. His wealthy, is well known, and well deserved. With a crew of 52 people, 48,000 square feet, and more than 60 feet wide that easily accommodates 24 guests. All pampered by its crew. Serene amenities boasts are 18 rooms, seven decks including swimming pools inside and on the deck. 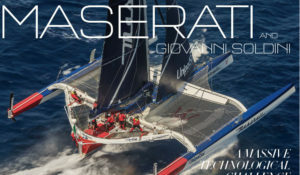 The underwater viewing area, a rock climbing wall, Cinemas, two helicopters landing pads, and all tools for water. Jet ski’s, and carries its own limousine. Below in the garage storage, a large submarine that can dive to 300 feet. The yacht has hot and cold Jacuzzis, and a jet stream exercise pool. An upper-deck pool is 50 feet long. There lounges, bars, spas, elevators, a powder-generating “snow room” for kids, a cigar lounge, hair salons, many galleys and wine cellars, a theater, and a room they call “Nemo” that has a glass bottom to view the waters beneath. There’s a grand dining room, smaller dining areas, and a plethora of pizza ovens and grills. And somewhere in all that is a spiral staircase that reaches six of the seven decks. Yuri Scheffler knows how to shine.